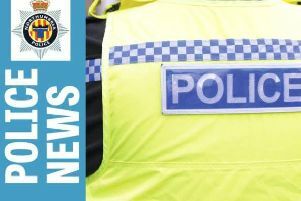 Child cruelty and neglect offences in the Northumbria Police force area have risen almost four-fold over the last five years, the NSPCC has revealed. There were 758 such offences recorded by police across the region last year, up from 382 in 2012-13. The vast majority (440) of the offences in 2017-18 were in the Northumbria force area, with 210 in Durham and 108 in Cleveland. And in the Northumbria area, the number of child cruelty and neglect offences has increased from 118 in 2012-13 to the 440 recorded last year. The amount of police offences is mirrored by the number of calls made to the NSPCC helpline – totalling 19,937 last year about children suffering neglect in the UK – with three-quarters referred urgently to police or children’s services, which included 857 referrals to agencies in the North East. And last year, there were 27,856 children in the UK, and 2,040 in the North East, on a child protection plan (CPP) or register for concerns involving neglect. During the summer, it was reported that there had been a concerning rise in children subject to protection plans in Northumberland, which is part of a pattern across the region. The figures showed that the number of CPPs in Northumberland continues to rise and the county compares unfavourably to the rates nationally and in the North East – although other regional local authorities had also reported increases in previous months. Over the last year, 513 children in the county were made subject to a CPP – equating to 87 per 10,000, above the national rate of 56 and the regional rate of 79. To raise awareness of child neglect – the most common type of abuse affecting children in the UK – the NSPCC has launched its Light For Every Childhood Christmas Appeal. Peter Wanless, the charity’s CEO, said: “It’s unclear exactly why the number of child neglect and cruelty offences has risen so dramatically, but greater public awareness and improvements in how police record offences could be factors, along with deeper societal issues. “Whatever the reasons for the increase in child neglect, there is something we can all do about it now, we need to be aware of vulnerable children and be ready to report it to the NSPCC or the authorities if we are concerned for their safety or wellbeing.